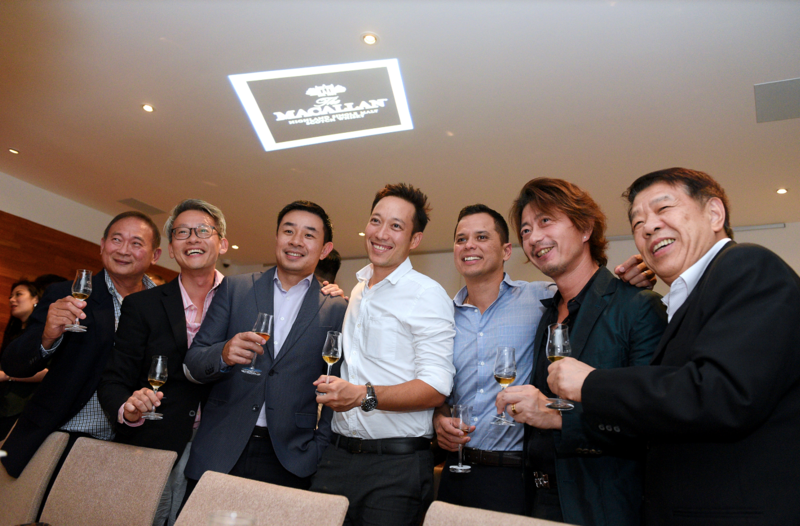 Plenty of laughter and witty jokes were thrown across the two tables at an intimate whisky pairing dinner that Singapore Tatler co‑hosted with The Macallan on Halloween night. Conviviality filled the private room at 28 Wilkie as guests indulged in free‑flowing drams of exquisite scotch whisky. Four types from The Macallan—Double Cask 12 Years Old, Sherry Oak 12 Years Old, Triple Cask Matured 12 Years Old and Triple Cask Matured 15 Years Old—were served alongside dishes such as Sakura ebi cappellini and Hokkaido A4 Wagyu beef. When it came to dessert, the whisky house's team whipped out the brand’s pride and joy, the Rare Cask expression, to end the evening on a high.